Georgia seniors scored big in the 2019 legislative session for their safety and independent living with the governor and lawmakers committing an extra $5.6 million to aging. Some of the new money will go to boost home and community based care, some for home delivered meals, assistive technology and a resource network connecting aging adults to local resources and support. 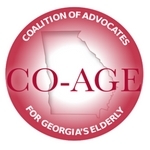 The Georgia Council on Aging (GCOA) commended Gov. Brian Kemp and lawmakers for addressing the needs of the state’s 1.3 million senior population. A priority for the council this year was extra money for two popular programs aimed at allowing seniors to remain in their homes: Home and Community Based Services (HCBS) and the Aging and Disability Resource Connection (ADRC). These also were the priorities of the 900-plus member Coalition of Advocates for Georgia’s Aging (CO-AGE). Some 7,000 older Georgians are currently waiting for HCBS services such as personal assistance, transportation and home modification, according to the GCOA. More people are also utilizing the state’s 21 ADRC centers to seek help for seniors and adults with disabilities. The call centers responded to more than 107,000 requests during the last fiscal year, an increase of 12,000 from the year before. Also during the legislative session, lawmakers agreed to study the pressing issue of affordable housing for seniors, tightened elder abuse laws and introduced legislation to provide greater scrutiny of personal care homes. Here’s a recap of the legislative successes of the GCOA and CO-AGE. $2 million for Home and Community Based Services. Additional funding addresses a waiting list of about 7,000 older Georgians seeking support services such as personal assistance, transportation and home modifications. This is projected to fund an additional 1,053 slots. $338,802 for Aging and Disability Resource Connection. The call centers helped 107,287 seniors in Fiscal Year 2018 find local resources and support. This funding will help create a public facing web site to provide 24/7 online information. $1,406,232 for Meals on Wheels to reduce the waiting list for home-delivered meals. $157,000 for assistive technology labs to provide $7,500 for technology for each of the 21 assistive technology labs across the state. Assistive technology helps improve the functional capabilities for adults with daily living challenges. $1,355,873 for 17 additional caseworkers to investigate allegations of elder abuse. $366,752 for 5 additional caseworkers to advocate as guardians for older adults. Study committee on housing options – Lawmakers approved the House Study Committee on Innovative Financial Options for Senior Living. Rep. John LaHood, R-Valdosta, called for creation of the committee, citing a lack of affordable independent living options for seniors. The committee will be comprised of five House members selected by Speaker David Ralston, R-Blue Ridge, and will have until December to make recommendations. Elder abuse – Rep. Deborah Silcox, R-Sandy Springs, sponsored important legislation to strengthen elder abuse statutes. Her bill allows law enforcement to inspect unlicensed personal care homes when regulators are not present, allows higher penalties for elder abuse crimes and clarifies the definition of exploitation so the abuse of an incapacitated person is a crime. This legislation passed the House and Senate and goes to the Governor’s desk. Personal Care Home sanctions – House Bill 722 was introduced by Rep. Sharon Cooper, R-Marietta, to increase the maximum allowable sanctions that the state can impose on personal care homes for causing death or serious harm to a resident. Health Coverage for Low Income Seniors – Senate Bill 185 was introduced by Sen. Elena Parent, D-Atlanta, to help low income Medicare beneficiaries with out-of-pocket health care costs. This bill did not move this session but provides a vehicle to educate legislators and the public about this problem.